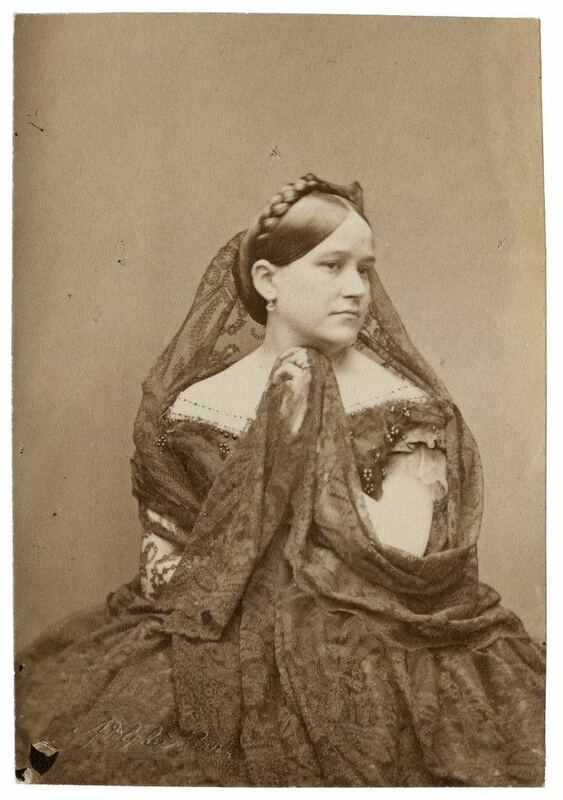 Avonia Stanhope Jones was born in 1839 and in her teens and early 20’s was considered an accomplished actress. Thank her parents for that. Both were theater-types, and Avonia often played roles opposite her mother. In one instance, mother and daughter toured together in “Romeo and Juliet” where Avonia played “Juliet” and her mother played “Romeo.” More details of that “strange” production is not known. And for the most part neither is Jones – known, that is. According to several internet sources, Jones married young, had no children, and died at the age of 28. Her name is not well remembered, but as an actress, she was important enough to warrant a sitting with the leading photographer at the time, Matthew Brady. One biographical source claims the most discriminating words against her was a “declamation of the war,” meaning the Civil War, which one can assume she talked about a lot, one-sided or not. More on that in a moment. In November of 2012, the movie “Lincoln” opened in theaters. The highly anticipated film, directed by Steven Spielberg, was a commercial and critical smash. It was in essence history come to life, thanks in part to Daniel Day Lewis who channeled his vision of the title role into an Oscar win for Best Actor. Kushner also brought back the name Avoina Jones. Kushner says Jones, from Richmond, was rumored to be a Confederate sympathizer. “She left the country immediately after the war, went to England and became an acting teacher.” (Note: Jones returned to America in 1867 and died that same year of consumption). According to Kushner, the backstory is this: “One of her [Jones] pupils was Belle Boyd, a famous Confederate spy. And the guy who was supposed to be in ‘Romeo and Juliet’ with her was replaced at the last moment by John Wilkes Booth—who was plotting then to kidnap Lincoln.” So according to Kushner, Jones could have been a member of Booth’s team of conspirators. It’s all speculation, of course, and Kushner doesn’t elaborate. Still for a writer a “new” discovery is always worth exploration and in a Hollywood production where the facts can be loosely defined by the words “based on a true story,” Kushner had hoped to introduce movie audiences to Jones. Jones and her story never made it into the final script. However, Kushner had another historical figure he claims was found through good research: William N. Bilbo, a crafty Nashville lawyer and lobbyist for Lincoln. Bilbo tried to bribe “swayable” Democrats to vote with Republicans on the thirteenth amendment, the overall plot point of the movie. Bilbo was another forgotten soul. Even Goodwin’s book ignores him. Yet, much to Kushner’s liking, Bilbo was left in the script and actor James Spader brought the real life character back to life. Avonia Jones will have to wait. This entry was posted in History and tagged Avonia Jones, Daniel Day Lewis Lincoln, Doris Kearns Goodwin Team of Rivals, Lincoln the movie, Smithsonian Magazine, Spielberg Lincoln, Steven Spielberg, Tony Kushner Lincoln, Tony Kushner Smithsonian Magazine, Unremembered Avonia Jones, William N. Bllbo Lincon movie.